Back in 2002, Theresa May said in her speech at the Conservative party conference “You know what some people call us: The Nasty Party”. Now, while the Tories may have managed to shed this tag, Theresa May’s call for a free vote on fox hunting is just the sort of thing that shows that that tag still belongs. I can see why she’s done it. Ever since becoming PM, May’s been terrified of the right of her party. Her stance on Brexit, her stance on social issues - all of it has been the stuff of dreams for the Daily Mail editorial team. She’s become so used to appeasing the hard right, both in the media and in her party, that she has forgotten how her party won in the first place - by being centrist. A blood lust for wild animals isn’t centrist, it’s just plain violent. While she may be making this move to give her a tactical advantage amongst the vast chunk of right-wing MPs in her party, strategically this move is bound to backfire. IPSOS-MORI’s latest poll on fox hunting found that 84% of British people believe fox hunting should remain illegal. This is an issue that people on both sides of the debate feel passionately about, something that raises tempers and blood pressures. 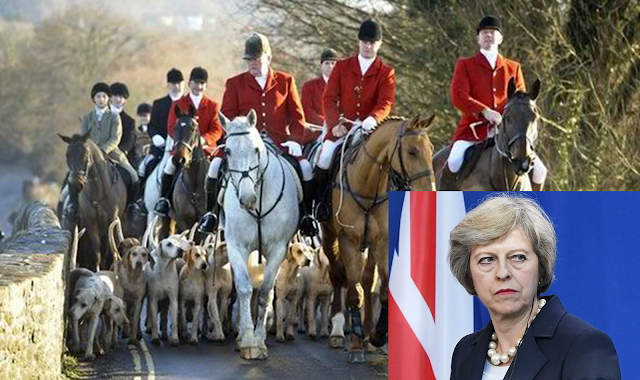 If Theresa May does manage to succeed in reintroducing fox hunting, she will suffer for it in the polls. She’s done it now because she knows she can get away with it. 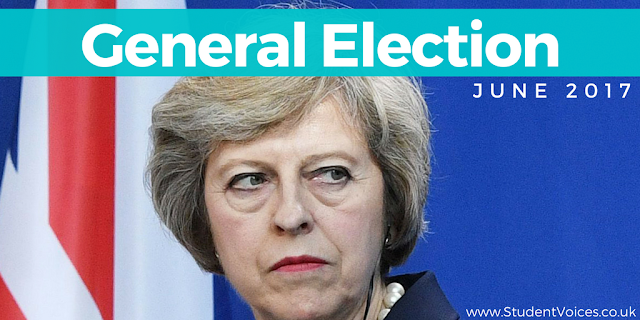 She’s facing the most useless opposition in the recent history of British politics. Jeremy Corbyn is just as likely to land a telling blow on her for this as he was for the massive number of open goals he could have scored since becoming leader. Therefore, in the face of very little opposition, Theresa has decided that now is the perfect time to reintroduce to the debate this piece of regressive and cruel legislation. David Cameron dropped the idea of reintroducing fox hunting when it became obvious that the public were not behind it. However, Mrs May is far less pragmatic than Mr Cameron. He was shaped by the strong and effective political forces of Blair and Brown. He adapted. Theresa May has been lulled into the slumber of complacency, not because of the fierce opposition of Jeremy, but because of the lack of it. If Labour had a viable prime minister in waiting, it’s possible May would have been hit by a couple of points in the polls. Whereas the Conservatives are currently seen by the British public as a safe pair of hands; a stable government that will protect their interests, they may start to question these assumptions if they recognise the government to be pushing through cruel and unnecessary legislation that will have no effect on their lives, instead of focusing on pressing and urgent issues like schools, roads and the NHS. Why waste time on changing the law on foxes when you could be investing in our country’s suffering education system? The PM also faces considerable opposition to this. Many of her more moderate, centrist MPs on the left of the party (still right of centre, just left of the conservative party) have already taken to twitter to criticise the measure and confirm that they will be voting against it. The group Conservatives Against Fox Hunting boast 5 Tory MP patrons; Tracey Crouch, Caroline Dinenage, Sir Roger Gale, Sir David Amess and Dominic Raab. They could conceivably whip up a backbench rebellion. So while Theresa May may have strengthened her hand with the right of the party for the moment, she may have undermined herself over a longer period of time. Don’t be surprised to see this come back to haunt her in the future. Although there’s all the electoral and strategic reasons why bringing back fox hunting is a mistake, there’s also the moral questions too. How on Earth does anyone benefit from fox hunting apart from those who enjoy being responsible for mammals being ripped to shreds by packs of dogs? Don’t try the ‘it’s just pest control’ argument. Sure. I can buy that there is a possibility that foxes can have a negative impact on farms. That’s obvious. There’s no need to kill them so brutally though. If you’re that determined that the population of foxes need to be reduced, there are far more humane ways to kill them than by setting a pack of aggressive dogs on them who will exhaust them and then literally rip them apart with their teeth. This leads to the stark and, frankly worrying, conclusion that there is only one reason you could want to see the hunting of foxes with hounds reintroduced. You enjoy watching animals killed in the most brutal ways.